While attending a workshop in Sedona, Arizona, over the next few days, I am sharing a few of my favorite blogs. 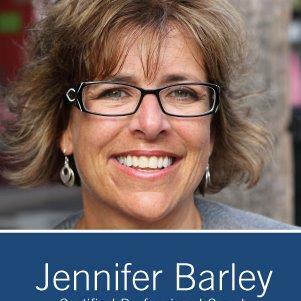 Today’s blog is from my friend, mentor, and coach, Jennifer Barley. Many of us have many abilities. Those talents, skills, things that come oh-so-easy, resources, tools, and the “can-do” characteristics that ooze from every cell of our bodies. The why not is because I no longer want to spend my time, energy, and talents on the things that do not bring me joy. I want to stay in alignment with my vision, my focus, and my limited time. 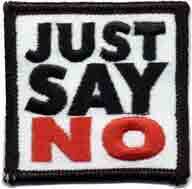 Saying No or Saying Yes is something I have been working on for years. However, I observed myself losing my footing when I saw that a local organization clearly could use some good leadership, and could really benefit from some marketing, program development, and a good ‘ol swift “I can so do this” kick in the pants. All of a sudden, I found my name up on the flip chart next to the name of a committee. Then I remembered my “three-day rule.” Since I tend to get overly enthused in the moment, any time I am asked or have the inkling to volunteer my time, I give myself three days to think it over—how much time is needed, what would I need to contribute, what kind of support would there be, is this something I REALLY want to spend my time on? The “three-day rule” is my own personal checks and balance system. It is a no-fail approach to make sure that what I choose to do is in alignment with how I want to spend my energy. I gave myself the three-day grace period and let the group know that I would not be able to effectively be a part of the team at this time. Just having that conversation made me feel better . . . more connected even. Connected to myself. What are the things that you wish you had given yourself three days to really think about? This entry was posted in Reblog and tagged Actions, Choices, Energy, Happy, Health, healthy-living, Inspiration, Jennifer Barley, Joy, mental-health, Mind Body Spirit, Positive Thoughts, Thoughts, three-day rule by Goss Coaching. Bookmark the permalink. I have anxiety so I find it most difficult to make a descision at the best of times. I jumped into everything compulsively for years then after a breakdown said no to everything for years as well. I have gotten much better these days and understand that I need to take time to be sure of my choice. I like your three day rule. I will probably use it. Great post! Hounds like you are finding balance. Beautiful! Thanks for commenting!